A few moment ago, one reader asked me where to find Illuminating Book Cover. But unfortunately, it seems the book light has been terminated. Fortunately I found an alternative: Lightwedge Original Book Light. strictly speaking, this gadget should be called light pad integrated two bright LEDs. 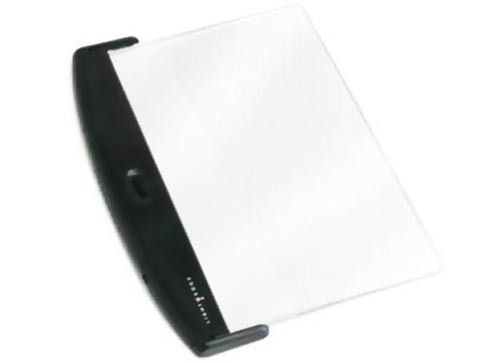 Just because of the LED technology, the book light pad avoids the fault of traditional book light. Readers don’t need to replace bulb burned out frequently. 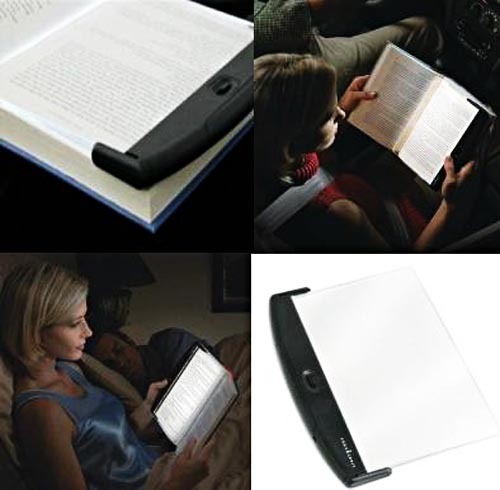 The LED book light has two levels of brightness. through the button on it, readers can adjust the brightness in order to get the most comfortable feeling. It’s powered by 4 AAA batteries for about 40 hours of illumination. Lightwedge Original Book Light costs $29.95 USD. It’s available on AsSeenOnTVGuys.